Aftermarket Mule Steering Gear Assembly - Rack and Pinion. Stronger Than Stock. Thicker Longer Tie Rod Ends means this Steering Gear will last!. 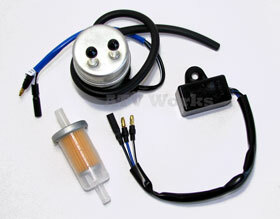 Replaces Kawasaki Part Number 39191-0001, 39191-0014, 39191-0017, 39191-0022. Repairs Right or Left side. 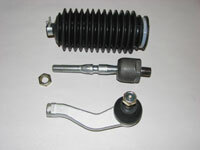 Includes Tie Rod, Tie Rod End & Boot. Aftermarket Kawasaki Mule Steering Gear Center Section. Mule 610 XC Note: This will work but the thread pitch is different for the steering ratio and the boots are a larger diameter on the OE XC Steering Gear. 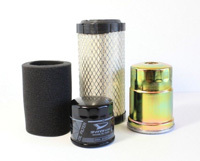 Aftermarket Fuel Filter for Gasoline Kawasaki Mules & Honda. 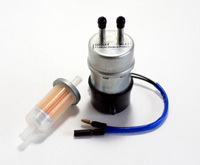 Filter measures 98 mm long and is for use with 8 mm fuel line. 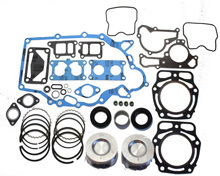 Kawasaki Starter Motor Rebuild Kit. 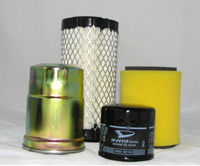 Includes Brush Plate and other items needed to rebuild your starter motor. Kit contents vary by starter. 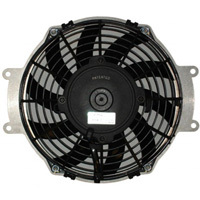 Aftermarket replacement starter for 3000/3010/3020 (ALL YEARS) 4000/4010 09-10 series Mules. 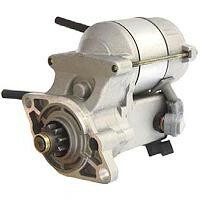 High quality replacement starter is a perfect replacement for the expensive OEM starter. 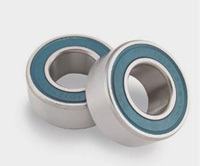 Kawasaki Mule 610 600 Rear Wheel Bearing Kit. Replaces 92045-0044. Kit contains 2 bearings. Replacement Fan Assembly for Mule 3010. Note, you may have to splice the wires to your OE connector. Fits 2510 A1-A3 2000-2005 Diesel Mules. 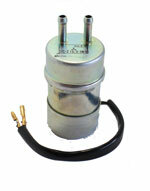 Fits 4000 & 4010 2009-2010 Diesel Mules. 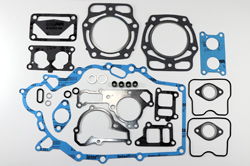 Replaces OE Kawasaki part numbers: 59011-1078, 59011-1086 and 59011-0012. 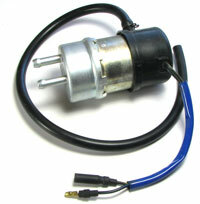 For use on Drive converter 49093-1068. Drawbar-type hitch for towing trailers. Fits the hard to find 1-1/4" receiver used on Mules. Includes Pin. Ball sold separately. *Does not fit the Mule 600/610. 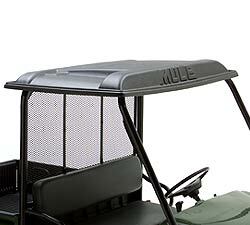 Kawasaki Mule Premium bed Mat for Mule 2000/2500/3000 series. Tough and resilient rubber protects cargo and bed surface. Keeps cargo from sliding. 5/16 extra thick flexible rubber. Has the Mule logo in the center of the mat. 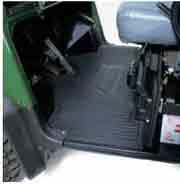 Kawasaki Mule Floor Mat for Mule 2000/2500/3000 series. Tough and resilient rubber protects your feet and the Mule Floorboards. 5/16 extra thick flexible rubber. Has the Mule logo in the center of the mat. 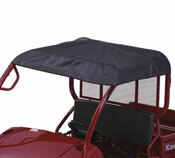 Kawasaki Mule Fiberglass Hard Top in Black. 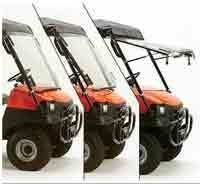 Use alone or with windshield. Must remove to transport on open trailer. Fits all 2000/2500/3000 Series. Oversize shipping charges are included in price. *Note, does not fit 3010 Trans. Durable, weatherproof, 18 oz. fiber-reinforced, PVC-laminate material. Installs easily with adjustable straps. Includes fiberglass support rod to shape peak. 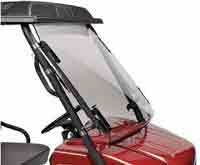 Use alone or with windshield. Note: Must be removed for transport on open trailer or truck at speeds over 25mph. Can replace 21066-0010. The prongs are a bit smaller on the regulator but the connector is the same, internals are the same. 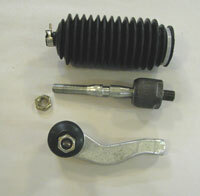 Replaces Complete Kawasaki Rack and Pinion assembly. This item includes the complete assembly. 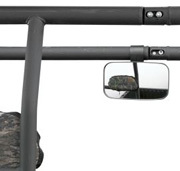 Includes rubber bushings to mount to your existing mounting brackets. This item includes the complete assembly. 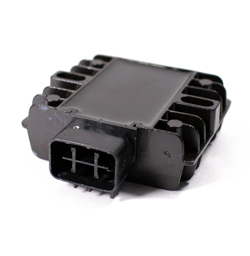 Includes rubber bushings to mount to your existing mounting brackets. No modification is required. Aftermarket Kawasaki Mule Rear Wheel Brake Cylinder.